I don’t free motion quilt. I’m not at all confident enough to start learning just yet. Instead, my quilting are pretty set by pattern I’ve created. Either straight lines, diagonal lines or zig zag. With my new sewing machine, I’ve been able to do some different patterns like this one, but they’re still a bit rigid for my liking. I’ve always wanted to try woodgrain quilting, but I’ve always thought you needed to free motion this. I read a little comment on Pinterest on day that spiked my interest, as it mentioned woodgrain quilting with a walking foot! So following this amazing revelation (in my mind), I googled it and came across some fantastic instructions. I think this blog is an example of seeing the creative process for quilting. I’m going to give this a shot the next time I have a quilt that is suitable .. It’s so free flowing, dimensional and beautiful! 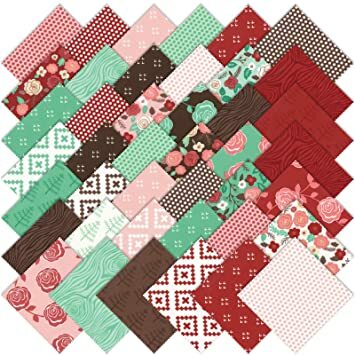 I imagine for a quilting pattern like this, the quilt top will be a lot less busy so the quilting can speak for itself. I have a gender neutral baby quilt coming up, and am thinking of using the, ‘Into the Woods‘ fabric range .. Wood grain quilting would be perfect for it!